Many high school senior valedictorians are planning on which college to attend or landing a great summer internship. Hanna Chammack had a slightly different idea. During her senior year, Chammack decided she wanted to make a difference in the world. While many high schools are active in charity campaigns, especially relating to cancer research, Chammack thought it would be unique to give directly back to an impoverished community somewhere in the world. She partnered with Zakat Foundation of America (ZF) on a well building project in Burkina Faso, a country located in Africa. In 2013, Chammack did her part by raising $2,500 through bake sales, fundraisers, and donations at events held at local restaurants. Chammack took special notice in regards to Ramadan. While Muslims in the West have easy access to clean water, this is simply not the case for other parts of the world where people may have to walk several miles to get drinkable water. Currently, Chammack is enrolled at University of Delaware. Her high school was recently notified that the well project had been renamed in honor of the high school – now being called the Christiana High School Memorial well. This partnership between Chammack and ZF has been featured in a news story here. 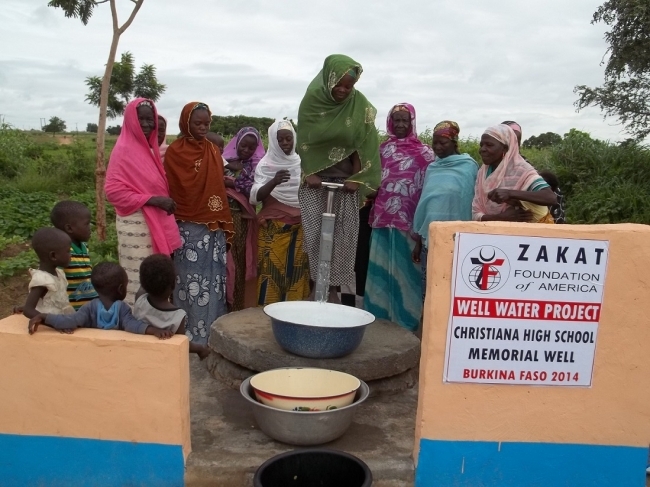 To sponsor the building of a water well or contribute in another way, please consider making a contribution to ZF’s efforts.